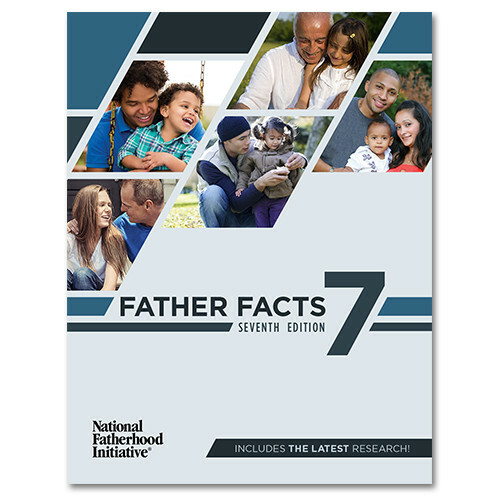 You already know we think highly of our new resource, Father Facts 7. But, do you know how useful others in the research and family services industries, are finding this great resource? Here's what one group says about our new resource. Use their insightful review to inspire you with new ways to use the research. Comfort Consults, LLC, which focuses on parenting assessment, staff training and program evaluation for family service programs in health, education and social services, has some great feedback on the usefulness of Father Facts 7 (FF7) for children and families. Here are a few ideas of note from Comfort Consults' post, you can read their full post here. Comfort Consults points out that FF7 is especially helpful for those writing funding proposals to support fathers or co-parenting services and that the newly released collection of statistics and research summaries provides a goldmine for making your case to funders. We couldn't have said it better ourselves! The chapter titled Issues Related to Father Absence may be of special interest to those working with families to resolve issues of child custody, child support and supervised visitation. Whether or not fathers are living in the household, if they are involved positively in their children’s lives, research shows the favorable associations with children’s social, emotional and behavioral well-being, school readiness and academic achievement (Father Facts 7, Pages 62-65). Research also indicates that fatherhood is related to men’s well-being in terms of more stable employment, stronger ties with extended family and community organizations, and in some studies, fewer mental health disorders (Father Facts 7, Pages 65-67). When fathers are involved with their children, research studies demonstrate associations with mothers’ healthier pregnancies, fewer symptoms of depression and stress, and more leisure time. In a study of divorced couples, remarriage was more likely when nonresident fathers had more frequent contact with their children (Father Facts 7, Pages 67-68). Father Facts 7 gives us a current and rich perspective on the wide range of circumstances, benefits and challenges experienced by fathers. Father Facts 7 also suggests the great value of working with fathers to benefit their children and both parents. Thank you, Comfort Consults, for caring about fathers...and connecting them to their families. To learn more about father absence and to access the research and data, purchase and download Father Facts 7 today.